This seems impossible, but my baby girl turns 10 today. 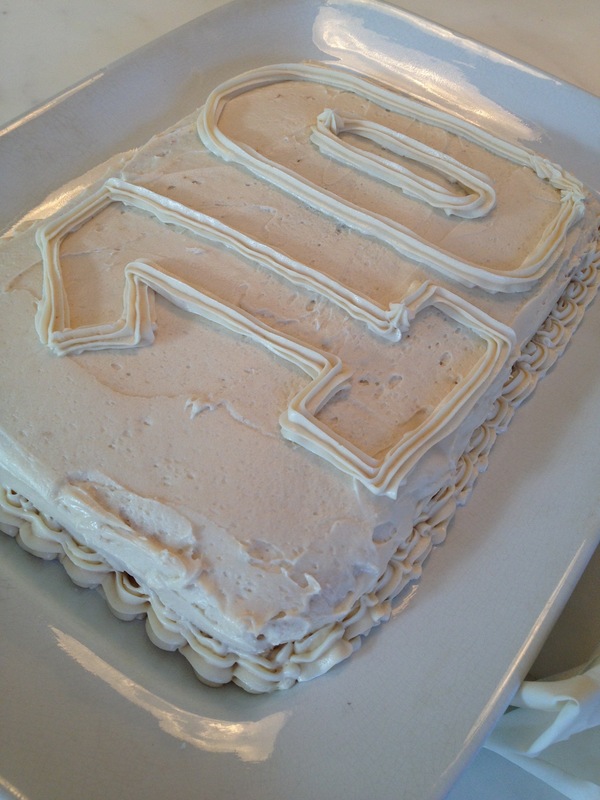 A whole decade – whoosh! I know this time warp happens to all parents, but I still feel blindsided. Luckily there is a tiny bit of leftover birthday cake from this weekend’s festivities to console me. Initially I had big plans for a Cake Boss-esque masterpiece – maybe a fondant-covered purse cake or something appropriately bling-y for a 10-year-old girl. But then I came to my senses! There was no way that was going to happen this weekend between soccer practices, soccer games and Grandma Jean’s 80th birthday celebration. So on to Plan B: this candy-embellished cake made a big impact and took less than 20 minutes to decorate, including the homemade frosting. Whether making a cake or savoring childhood, every minute counts. For piping the outline of the number, set aside about 1 cup of frosting in a pastry bag fitted with a wide tip (I used a star-shaped tip). 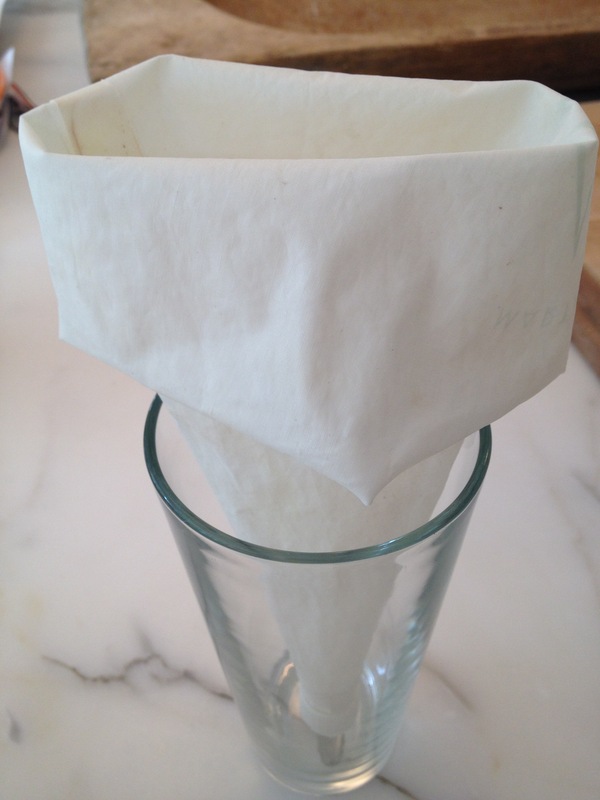 This process is easier if you make a cuff on the pastry bag and set it in a large glass. If you’d rather make the outline with M&M’s® or mini marshmallows, skip this step and use all the frosting for icing the cake. 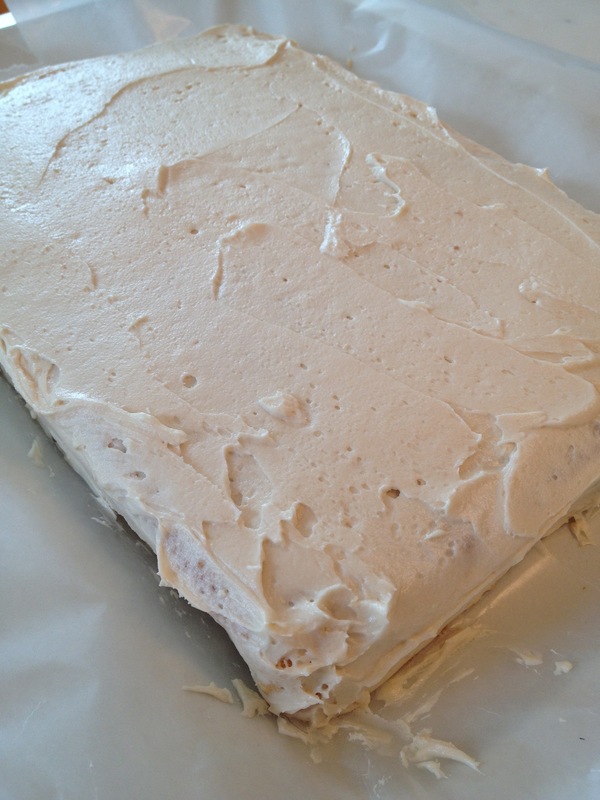 Frost the cake with the remaining frosting. 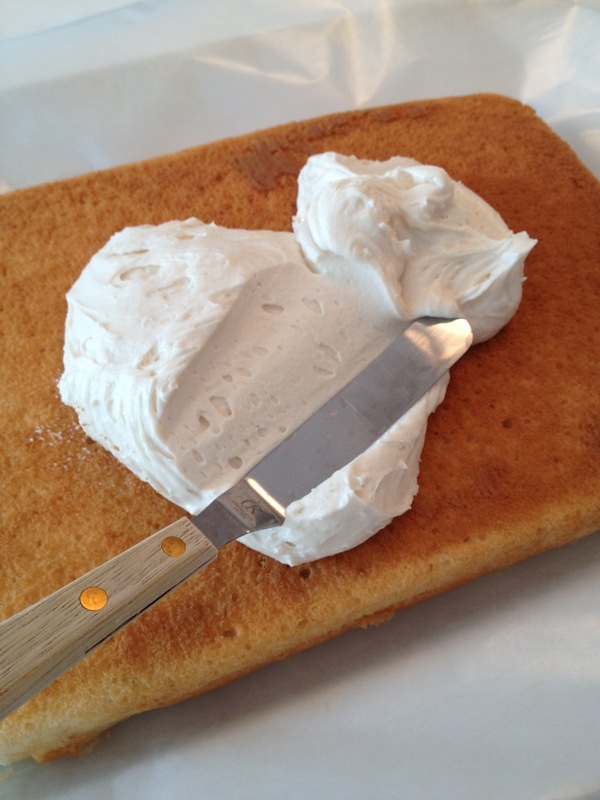 Remove the wax paper by carefully pulling it out from under the cake; press a spatula against the sides of the cake for resistance. Now for the fun part! Arrange the candies within the number outline, varying the colors, shapes and sizes for maximum “Wow” appeal. Dim the lights and make a wish. Can you guess mine? Add all ingredients to a large mixing bowl. 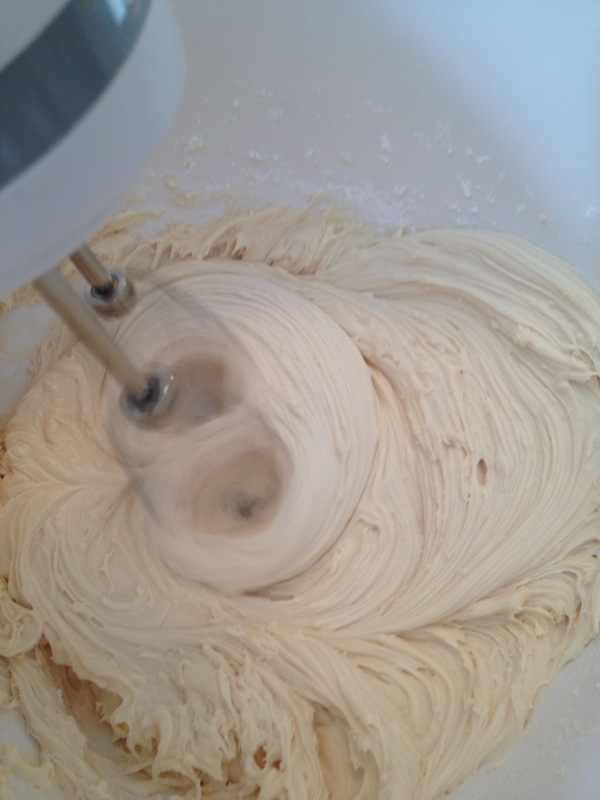 Blend on low speed until incorporated; increase to medium speed and beat 1-2 minutes until creamy and fluffy. 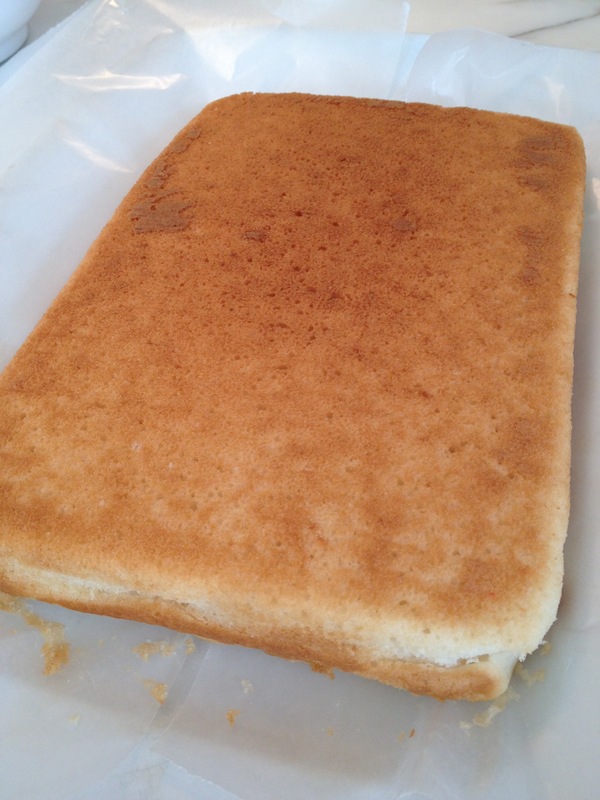 Makes enough to frost one 9×13-inch cake, a 2-layer cake or 24 cupcakes. 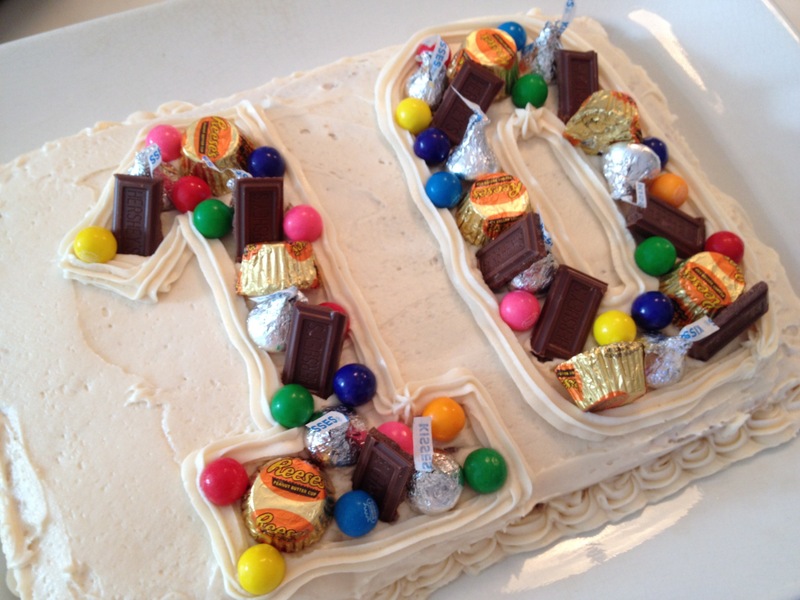 This entry was posted in Desserts, Holidays, Kids & Family and tagged buttercream frosting, cake decorating, candy cake, Kids' birthdays, Party ideas by subeeskitchen. Bookmark the permalink. What a great cake idea, even my almost sixteen year old son would love this! Happy 10th birthday to Leah! 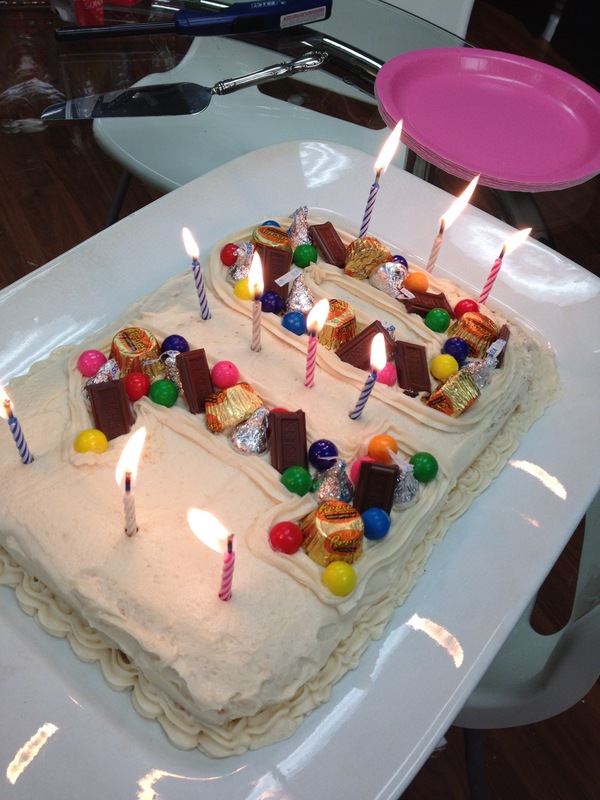 Happy Birthday Leah….Your Mom is the best and I so enjoy her latest Treats….. Happy decade of mommy-hood to you Sue!! !